Luvable Friends girls sparkly slip-ons are dazzling accessories for any casual outfit your baby may wear. 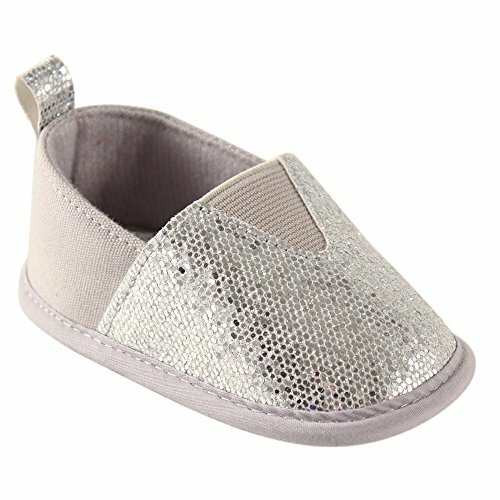 Featuring soft lining and elastic at the top of the arch for a comfortable and secure fit even on pudgy baby feet, these glitzy shoes are perfect for babies who do not yet walk. A slip-resistent dotted sole helps toddling little ones get their footing on indoor surfaces.